How do I invite an employee without an email address? 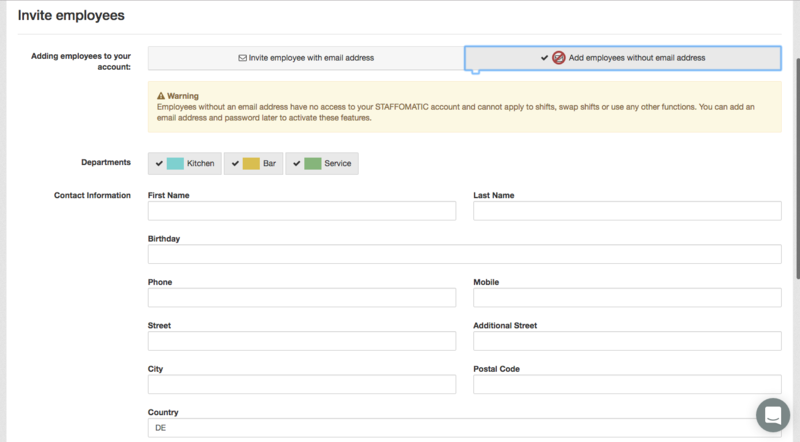 In order to create an employee without an email address click on 'employees' in the menu. On the right you will see a red button '+ invite employee'. A window will open where you can chose the option 'employee without email address. Enter all information and click on 'create'. Another possibility would be to create subaddresses of your own email address. For example: name+1@example.com, name+2@example.com, name+3@example.com, etc. Instead of a number you could also use the name of the person.